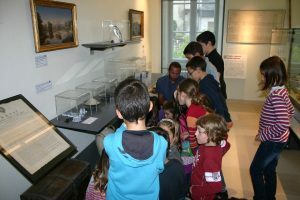 The museum organises numerous workshops for schoolchildren of all levels. Boasting a public outreach department and a teacher seconded from the French Ministry of Education, the museum is available for teachers to devise tailored workshops according to the selected educational project. The museum also organises activities with external partners to complement visits to the collections. The Loire, Fine Arts, the history of art, architecture and the world of museums are all subjects that can be focused on. Please feel free to contact our museum interpreters, who will work with you to devise a program for your visit, on +33 (0) 386 267 102.